TEHRAN (Tasnim) – The head of Iraqi Scholars Association praised the Islamic Republic for it supports for the Arab country in the fight against terrorism, saying that recent victories over foreign-backed terrorists could not be reached without these supports. 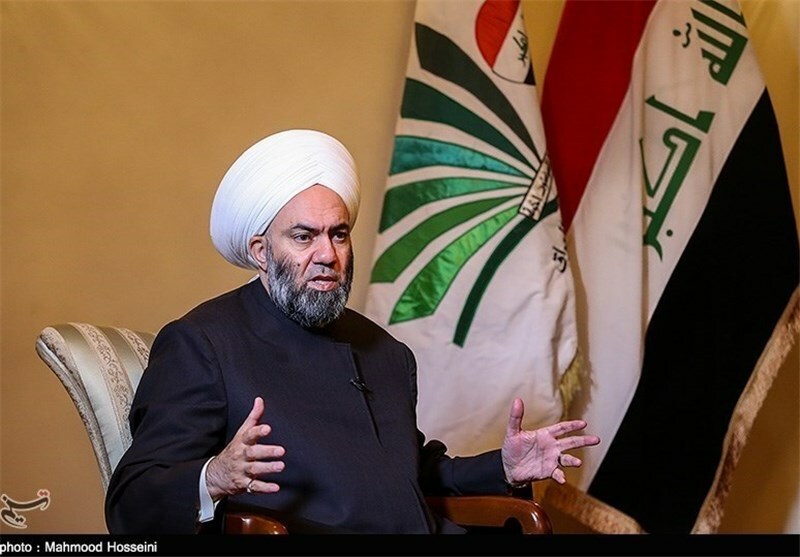 “We are proud ... to declare that the Islamic Republic of Iran supports Iraq’s resistance groups in the war on extremists,” Sheikh Khalid Al Mulla said in an interview with the Tasnim News Agency. He also emphasized that the Iranian nation, headed by Leader of the Islamic Revolution Ayatollah Seyed Ali Khamenei, wants peace and stability in Iraq, like in all other Islamic nations. Iran’s supports for the Islamic nations do not hinge on their religious beliefs, because it has backed even those nations which were not Shiites, he added. The prominent cleric further commended the dedication and devotion of Iraq’s volunteer troops, known as Popular Mobilization Forces, and Tehran’s role in the anti-terror campaign, and said the efforts made by the volunteer forces could not bear fruits if Iran had not backed them. The remarks came as Iraq has been facing the growing threat of terrorism, mainly posed by the Daesh (ISIL) terrorist group. However, a combination of concentrated attacks by the Iraqi military and the volunteer forces, who rushed to take arms after top Iraqi cleric Ayatollah Ali al-Sistani issued a fatwa calling for fight against the militants, have blunted the edge of Daesh offensive.